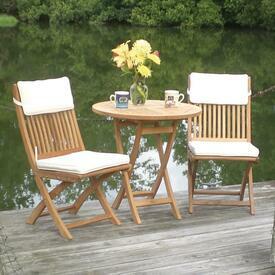 Make your garden area or back patio a place to sit and relax with a beautiful outdoor bistro set. Available in a variety of finishes and frame types, you are sure to find the right one at the guaranteed lowest price. 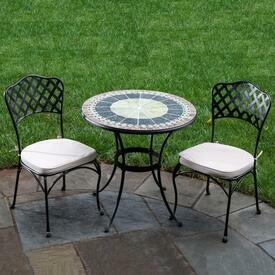 Perfectly used for outdoor dining or as a nice accent piece for a three season room. Regardless of where it goes, you can be sure it will be enjoyed!